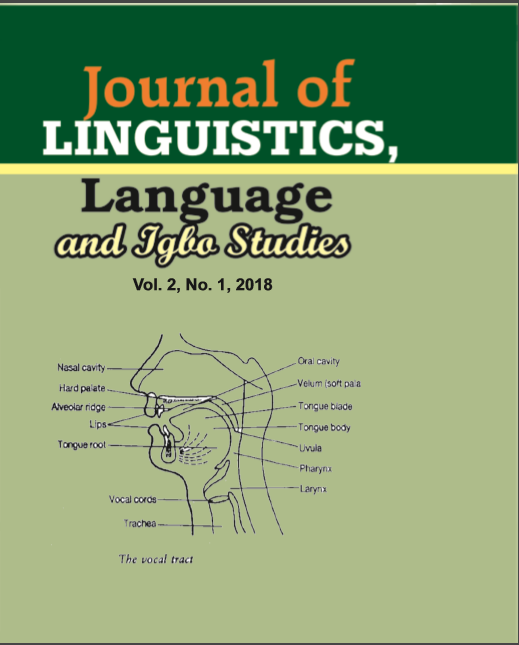 Journal of Linguistics, Language and Igbo Studies (JoLLIS) is a journal of department of Linguistics and Igbo, Chukwuemeka Odumegwu Ojukwu University (Igbariam campus). The journal accepts well researched papers in linguistics, language and other areas in Igbo studies. JoLLIS also publishes review articles, book reviews and reports relevant within the scope.